Archbishop Curley sophomore Dinari Boykin’s steal and break-away dunk, just ahead of the final buzzer, put an exclamation point on an outstanding second half defensive effort which propelled the host Friars to a hard fought 67-59 MIAA B Conference quarterfinal playoff victory over a young Indian Creek squad, Tuesday afternoon in East Baltimore. 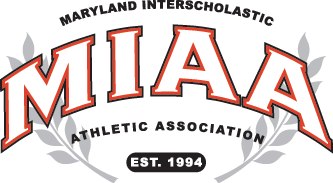 The victory advances third-seeded Curley into Thursday’s semifinal round and it will visit second-seeded and defending champion Gerstell Academy in Carroll County. Gerstell had a bye in the opening round. Also on Tuesday, fourth-seeded Severn edged fifth-seeded St. John’s Catholic Prep, 52-51, to earn a Thursday trip to top-seeded St. Paul’s. Boykin’s dunk was part of a 10-2 closing run by the Friars, over the final 2 minutes, 55 seconds of the contest, with seven of those points created by steals. Curley junior Josh Knapp had 21 points, including 12 in the third quarter, and block six shots to help Curley advance in the MIAA B playoffs. Up 58-57 with 1:38 left, Curley got a mid-court steal from junior Niyon Carroll and he raced to the hoop for a beautiful left-handed finish. He was also fouled on the play and converted the “and one.” With the clock down to 16.1 seconds, the Friars’ Travis Dobbins was fouled trying to finish a break-away, after another steal, and hit both free throws to virtual ice the victory. On the next possession, Boykin sent the home fans away with one final highlight. After opening the game with a 7-0 run and leading for much of the first quarter, Curley (16-10) saw its fortunes change for the worse at the outset of the second quarter. The Eagles (14-13), who had won seven of their final eight regular season games to qualify for the playoffs, opened the second quarter with a 14-2 charge as they threatened to run away and hide from the Friars. Curley, however, began its comeback with back-to-back three-pointers from Travis Dobbins and Caleb Johnson and closed the half on a 14-5 surge, getting back within two, 36-34, at the intermission. Junior Khiyon Washington, who led Indian Creek with a game-high 25 points, had 16 points in the first half, including three three-pointers in the first quarter. Senior Khalil Johnson had eight points in the second quarter and finished with 16. At the outset of the second half, Hopkins employed his full court pressure and it gradually wore down the Eagles, who play four freshman and a sophomore extensively. The third quarter was a battle, as the teams were tied twice and the lead changed hands twice. In the end, Curley was able to shave one more point off its deficit during the period, largely due to the work of junior Josh Knapp, who scored 12 of his team-high 21 points in the quarter. Knapp was a force all afternoon on the glass and in the interior defense, coming away with six blocked shots. According to Knapp, Curley’s defense fuels its offense. Hopkins said the Friars are at their best when they stay within their system. In addition to Knapp, Curley received 15 points from Johnson and 10 from Dobbins. Indian Creek coach Josh Pratt was proud of his squad. In Tuesday’s other B Conference semifinal, fourth-seeded Severn (14-11) edged fifth-seeded St. John’s Catholic Prep (16-10), 52-51, in Severna Park. Mo Terry scored 18 points, including a pair of go-ahead free throws late in the contest, and AJ Burch netted 17 for the Admirals, who advanced to a semifinal date, on Thursday, at top-seeded St. Paul’s (18-8). Pictured above: Curley’s Dinari Boykin (left) applies tight defense against Indian Creek’s Khiyon Washington during the second half of the Friars quarterfinal MIAA B Conference playoff victory. INDIAN CREEK: Logan Harris 4, Bryce Collier 10, Khiyon Washington 25, Khalil Williams 16, Josh Chambers 1, Josh Leedy 1, Daniel Ablorh 2, Carter Mullin 4. TOTALS: 19 14-22 59. ARCHBISHOP CURLEY: Josh Knapp 21, Travis Dobbins, 10, Caleb Johnson 15, Dinari Boykin 4, Todd Gray 6, Niyon Carroll 5. Totals: 22 17-20 67. ST. JOHN’S: Collins 9, Pilgrim 5, Bell 8, Hill 9, Moore 15, White 5. SEVERN: Baldwin 4, Burch 17, Berko 7, Donegan 6, Terry 18.